I am not the girl Bruce Springsteen was describing when he sang ‘baby we were born to run’; not even close to being her, in fact. When I was younger, I was the girl who hid in the changing rooms on sports days, desperate to avoid the shame of lumbering over the line in last place, thighs chafing and wearing my embarrassment around my neck in place of medals that I would never win. Running was the preserve of spindly legged girls who bounded along, flashing smiles and swishing their ponytails, and an activity that I generally avoided until the threat of turning into a human Flump at university pushed me to start shuffling along the pavement. I was living in Moscow when I heard about a marathon run over a frozen lake in Siberia, and the idea of running it myself rolled around with the tumbleweed in my mind for a couple of years until I was able to convince myself and a couple of friends that it was time for an adventure. 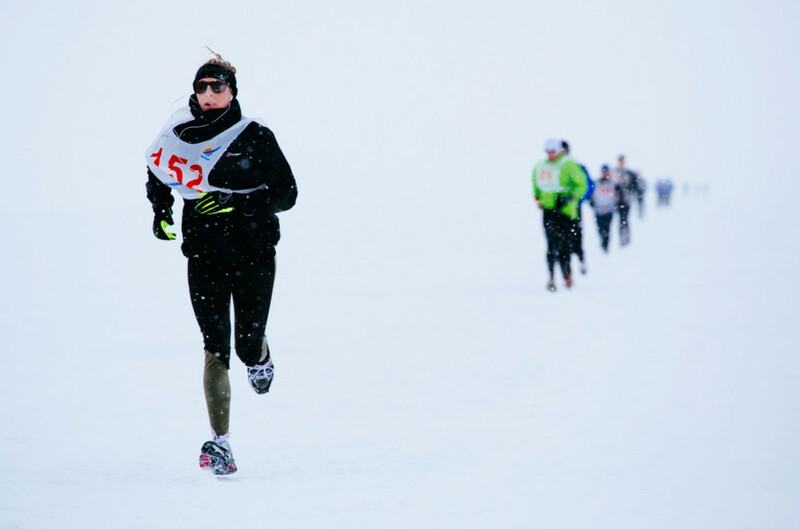 The marathon is run every year in March when Lake Baikal is frozen and the ice is thick enough to withstand the pounding of 150 or so shivering runners; temperatures usually lurk at around -20 and all participants must submit a ‘running portfolio’ with details of best times and distances. Given the rather lacklustre running ability I had heretofore displayed, I felt it was best to opt for the half-marathon, basically lie on the form about my abilities (it is Russia after all, so it’s basically rude not to be a little shady about things) and buy some fairly hefty thermals. Lake Baikal is a hulking brute of a lake that sits nearer to Tokyo than Moscow and on the morning of the race it was a balmy -15 with a touch of blizzard, meaning that the sheet ice that would be our running track had been covered in about a foot of snow; with hindsight, Battersea Park might not have been the perfect training ground, but there you go. The course led off from one side of the lake, wiggling through the piles of splintered ice shards that had been forced skywards by the shifting of tectonic plates to the finish line of the full marathon on the opposite shore. Every 7 km or so there was a little table laden with boxes of nuts, chalky Russian chocolate and a slightly frozen Babushka or two who would thrust cups of sugary tea at you, but otherwise there was nothing to focus on apart from the swirling fog and the distant figures of your fellow competitors. At the halfway point of the course there was not much more than a tent to warm up in so I bumbled to a slightly anti-climactic finish line, however it was pretty spectacular to whizz across the ice in a hover craft past the poor souls who were going the full distance. I was definitely not born to run and will sadly never have spindly legs, but I don’t think that matters when you’re setting off across an icy Siberian lake and frankly I was enjoying myself too much to really care. 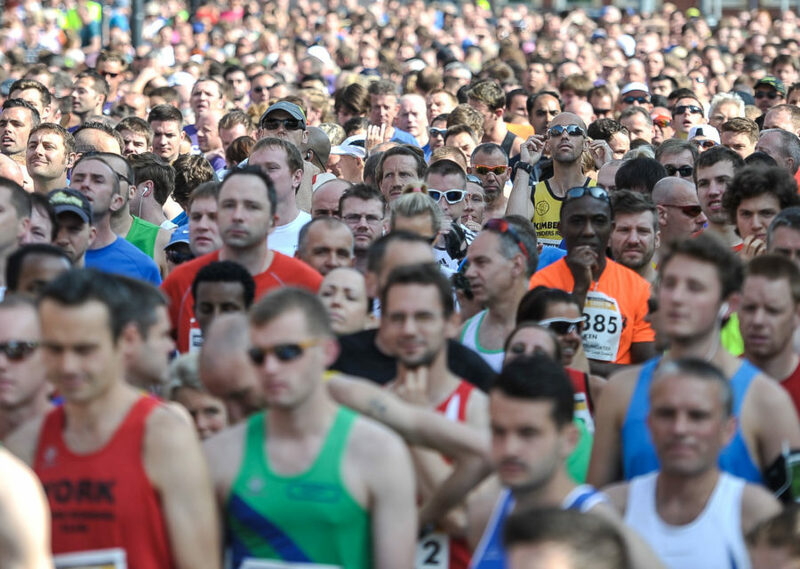 A 10K in the capital will set you back £50 and an Ironman can cost in excess of £500. So are race prices on the rise, or are we getting more for our money?